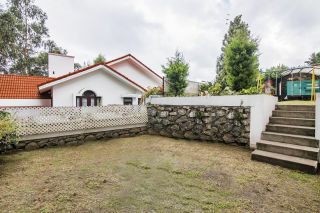 Located in the vicinity of Kodai Lake and Bear Shola Falls, this is an offering of a private room in a cottage, which can accommodate up to three people. The retreat boasts a well-tended garden with swings and is surrounded by lush foliage, thus making it ideal for nature lovers. Your Space Dotted by lush foliage and towering trees, this holiday home promises a memorable stay for those seeking a peaceful getaway. Displaying an ivory façade with red stucco roofs, this abode is fronted by a paved deck where you can park your cars. 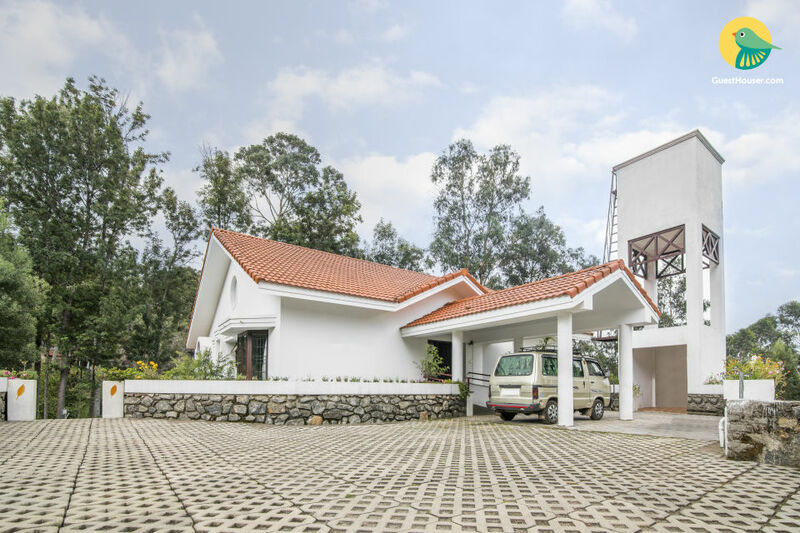 The retreat features a well-tended garden bordered by flagstone walls and colourful blooms, with children’s swings and ample garden benches, making it the ideal spot for kids to enjoy a memorable time as well as for adults looking for a delightful morning stroll. 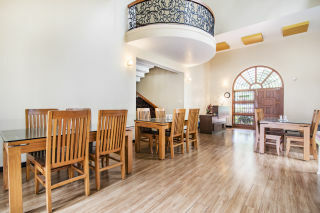 Inside, wood-panelled flooring houses a dining area with comfortable seating so that you can peacefully savour your favourite meal. 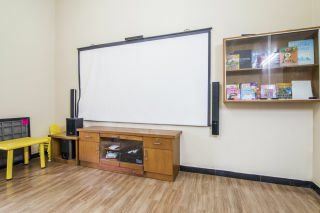 A common area flaunts a projector screen, should you feel like skipping a day outdoors and watching a movie. 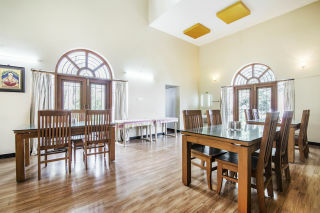 The room on offer is housed under an exposed beam ceiling and is furnished with a comfy double bed with a side table, a dresser, cabinets to store luggage, and a television for entertainment. The en suite washroom is tiled and appointed with western sanitary ware. Guests are requested to provide valid ID proof at the time of check-in. Heating at an additional cost of INR 500 per night. Bonfire at an additional cost of INR 700. Complementary breakfast. Places to visit: Kodaikanal Lake - 2.1 km. Berijam Lake - 21 km. Bear Shola Falls - 1.3 km. 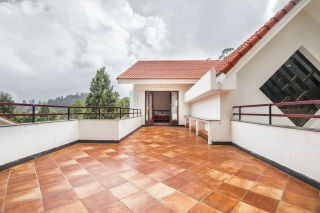 Kodaikanal Solar Observatory - 3.1 km. 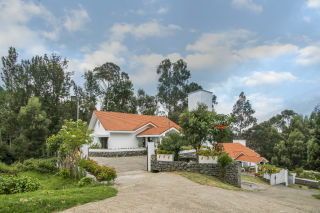 Kodaikanal Golf Club - 6.1 km. Palni Hills - 2.2 km. Green Valley View - 5.5 km. Palani Railway Station - 66.6 km. Kodaikanal Bus Stand - 700 M.